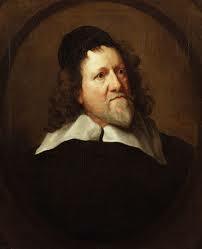 Inigo Jones was born on 15th July 1573 in Smithfield during Elizabethan era in Central London to a Welsh cloth worker. He was christened at the church of St. Bartholomew. Very little is known about the early times of Inigo’s life. However, it is well known that he was one of the first prominent British architects. He was responsible for introducing the Renaissance form of Architecture in modern England. Inigo was the first Englishmen during his age to go to Italy to study architecture. He went to Italy twice for this purpose. The first trip was funded by the Earl of Rutland and the second trip was financed by the Earl of Arundel. While in Italy Inigo was influenced by their flourishing and elaborate architectural styles. He was also inspired by the leading Italian architects of that age. He tried to establish the Italian principles of architecture into the modern buildings of London. This was a novel approach at that time and it became quite popular. It also produced some spectacular works that can be admired even today. His work was particularly influenced by Palladio and the Roman writer Vitruvius. Perhaps the best known and the earliest work of Inigo Jones that still remains intact is the Queen’s House at Greenwich. He is also remembered for his transformation of the Banqueting house at Whitehall. Jones was almost always assisted in his works by his nephew John Webb. Jones was also commissioned to design the Covent Garden which was a very big project for him. This project was also important because the greatness of this project depended on Jones’s expertise and not on the finance. He was ordered to provide the best design inspired by a piazza and he was also supposed to economise on the project. Although much of the parts of the Church and other important aspects of the structure are lost but it still remains as a testimony of Jones’s great work. Apart from designing and structuring buildings Jones was also involved in the designing of sets for the stage. He was responsible for some spectacular sets that he designed and arranged for the English theatre. He was involved in the staging of many of Ben Jonson’s plays. He was forever getting in debates with Jonson over the inevitability of the sets for the perfect and successful staging of a play. It is said that Jonson ridiculed him in many of his works later on but he was always aware and appreciative of Jones’s genius.